Summertime is off with a bang in Southern Oregon’s hot, sunny Applegate, Rogue, and Umpqua valleys. Barbecues, graduations, weddings and family outings are on the docket. What will you find on the table during the summer season? Well if you're playing your cards right, chilled – and local – rosé. 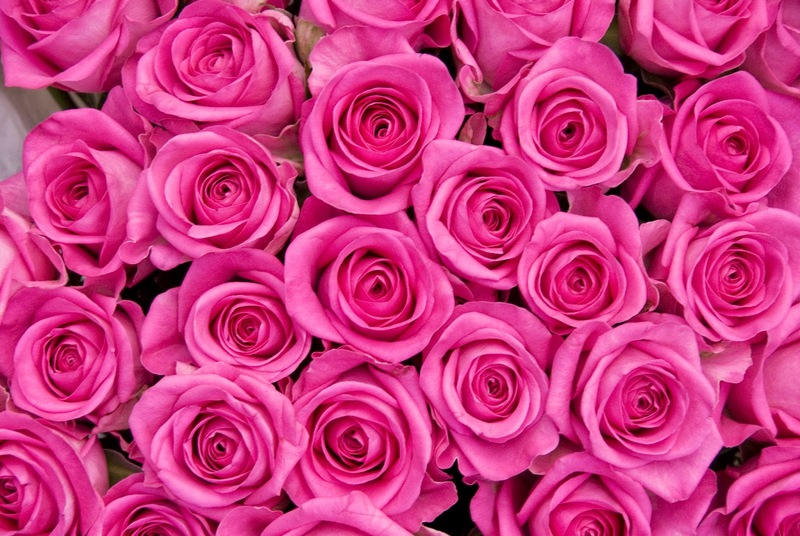 Beautiful pinks are once again rising to the top, in the Pacific Northwest overcoming a lot of bad memories of sugar-added, chemically “enhanced” White Zinfandels from the 1980s and beyond. (editor's note: Thanks California.) Since 2008, France has been selling more rosé wines than whites. Rosé sales in the US climbed 39% last year, making it the eighth year in a row that double-digit increases have been reported. The reason? Rosé is becoming a better made product. Instead of the run-off juice left over from a precious red, many wineries are now creating rosé with intention. Winemakers are carefully planning the next vintage. If a winery specializes in Pinot Noir or Syrah as a red, for instance, they may want to additionally showcase the varietal as a rosé. Pinks are showing up on the finest wine lists, offering the best attributes of both reds and whites, often with a crisp acidity and lower alcohol that loves food, even difficult pairings such as salty and spicy flavors. Rosé flaunts the same characteristics as the spring and summer seasons it shines in, light, playful, along with being sharp and varied. The deep, dark fruit essence of the red wine it might have been is softened into delicate and delicious strawberry, raspberry, cherry and often rhubarb. Citrus, stonefruit, and tropical notes may also be prominent. Depending on the grape and the desired outcome, a rosé may spend as little as a few hours or as long as a few days in contact with the skin. Lighter skinned reds such as Grenache are frequently soaked longer than are more potent varieties, for example, Cabernet Sauvignon and Merlot. Hillcrest Winery in the Umpqua Valley of Southern Oregon even produces a Blanc de Noir, a colorless red with as little skin contact as possible. Most rosés are meant to be consumed in the first year, when they are at their brightest, fruitiest and most aromatic. (There are wineries that produce oaked rosés which are intended to be aged, although these are rare.) Pair a rosé with meats and vegetables on the summertime barbecue grill, fruit kabobs, salty cheeses and fresh salads tossed with olives and tomatoes. Save a couple of bottles for Thanksgiving, too – rosé can be a perfect companion for heavy sauces, turkey or ham. A rosé can be served very chilled, as it will quickly warm a bit in the glass, allowing the wine to open and reveal layers and complexity like one might expect when letting a red wine breathe. The 2012 Rosé of Syrah from the Rogue Valley was produced by crushing the Syrah grapes and then leaving the Syrah grape juice in contact with the skins for 6 hours. It was then pressed and cool-fermented in stainless steel. Approximately 5% Viognier was blended into the final wine to enhance aromatics and flavor. The resulting wine has a beautiful ruby color with aromas and flavors of fresh plum and dried fig and a dry, balanced finish. 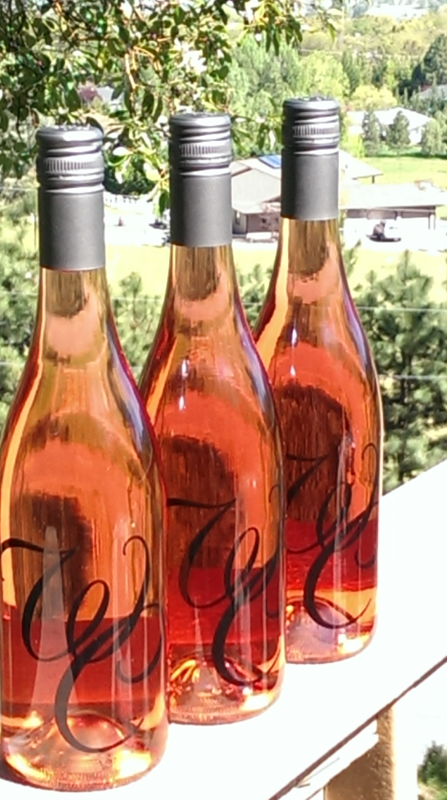 The 2013 Quady North blended rosé was originally a blend of the "saignees" from the Syrah that went into their 4-2,A, a red varietal Syrah. Over the last few years, they have begun incorporating early picked and pressed Grenache and Mourvedre with their favorite Syrahs from the Applegate and Rogue Valleys. The wine wafts strawberry along with hints of lemongrass and honey from the glass. 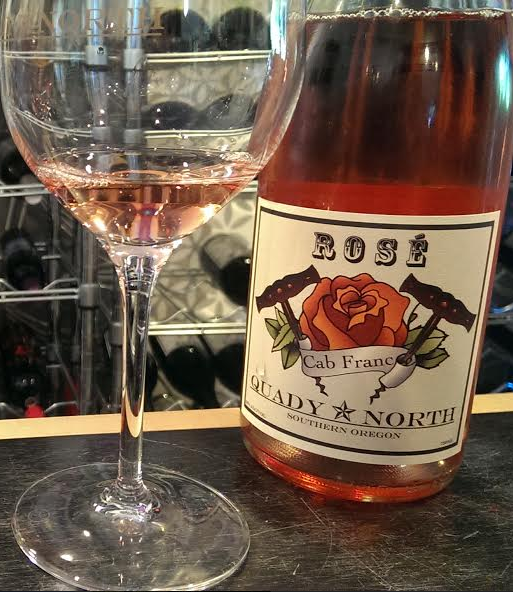 The 2013 Quady North Cabernet Franc rosé from the Applegate Valley is a medium cherry color with floral notes, candied lemon, strawberry and rhubarb. The Wooldridge Creek, Applegate Valley method champanoise sparkling pink explodes with fresh strawberries, mango, kiwi and watermelon. Wooldridge Creek also makes a lovely dry still rosé, also from the Applegate Valley, which is smells of lemon zest with cherry on the palate and a little creaminess to soften the crisp acidity a bit. Behind the tasting bar, Shelly’s eyes light up as she relates pairings with cheese, salami, calamari, and even burgers. Troon Vineyard has produced a light-colored rosé with aromas of key lime and meyer lemon finishing clean on the palate with strawberry and melon. The grapes hail from one of the original vineyards in Southern Oregon’s Applegate Valley. Suggested pairings are pasta, shellfish, salads and mild cheeses.